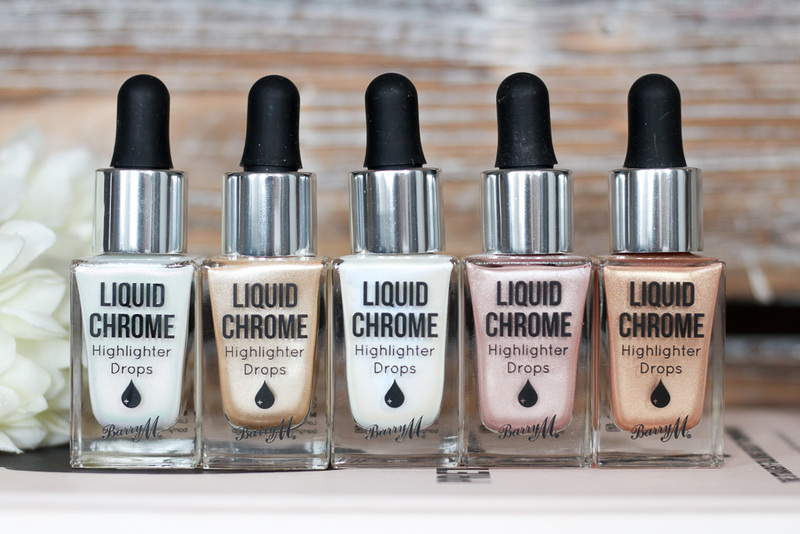 Towards the end of 2017, Barry M released the much anticipated Liquid Chrome Highlighter Drops featuring five shimmering shades for a bargain £6.99 each. From a pink champagne to a beautiful golden hue, there is something for everyone. My personal favourite is Precious Pearl which is pearlescent with a subtle pink shimmer, I just pop a couple of drops along my cheekbones and blend. 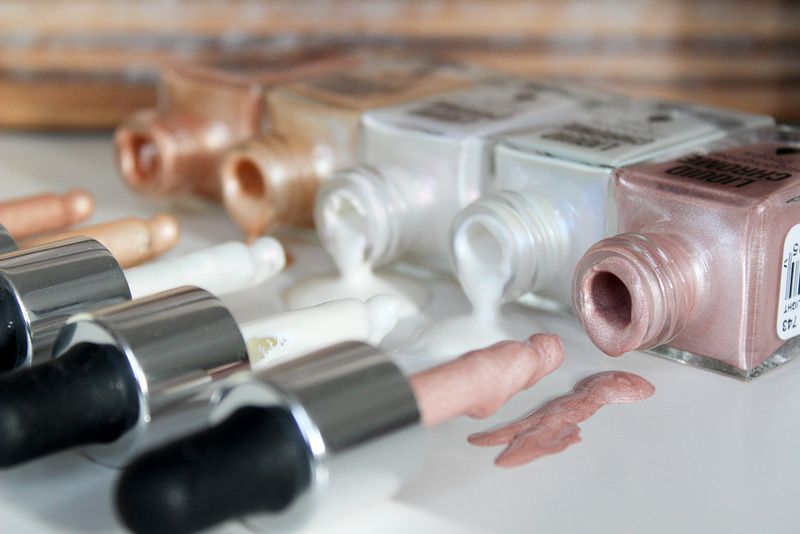 The other shades are just as beautiful. Moon Potion is another pearlescent highlighter but with a subtle blue shimmer. 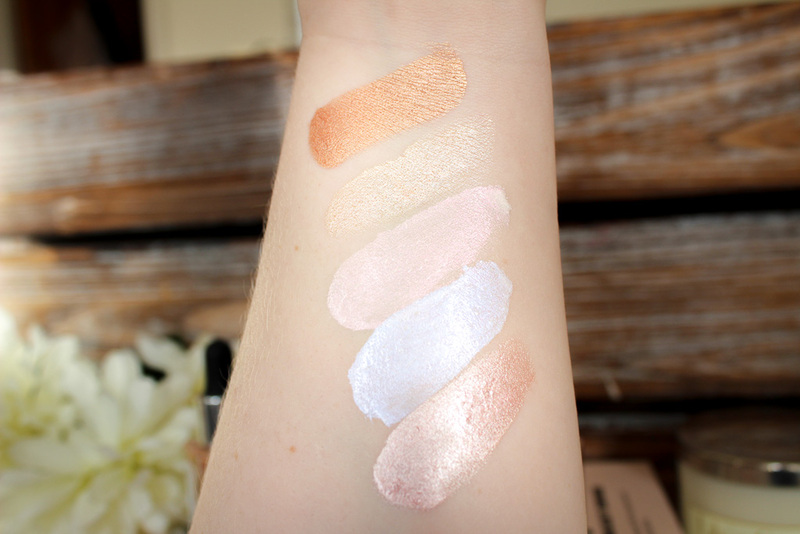 Beam Me Up is a light gold whereas Liquid Fortune is more bronze and the final shade, At First Light is a pretty pale pink. Some are cooler toned than others but I think the shade range overall is fab. The highlighter drops are a great multi-use product especially when it comes to packing light for summer getaways or festivals. You can use the drops on top of your makeup by using it along your brow bone, cheekbones and nose which is what I do or mix it with your foundation which I like to do in the summer for a glowing finish. You can also them on your body, they would work brilliantly on the decolletage or tanned legs. I've found the best way to apply the drops is by using the dropper straight from the bottle and then you just lightly apply small dots of the liquid on to skin. I then use my beauty blender to gently blend onto skin for the ultimate glow. 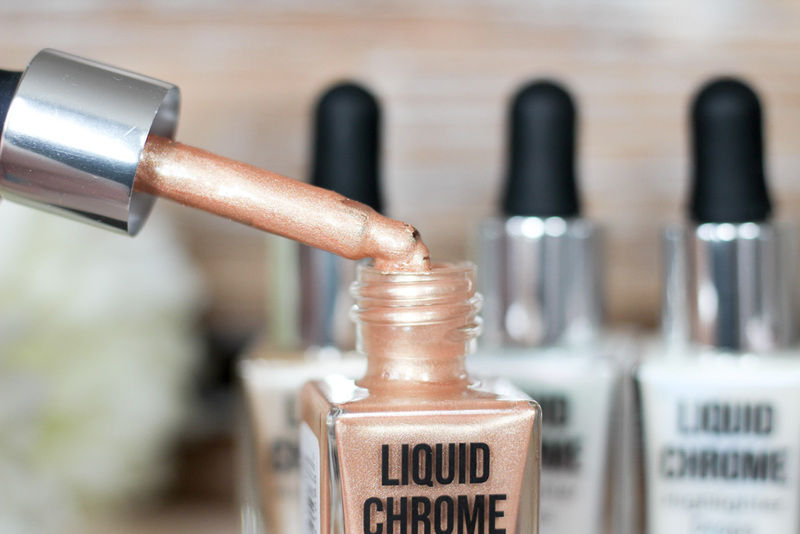 Blending is vital with chrome drops for a natural look, as it can look slightly streaky if not. 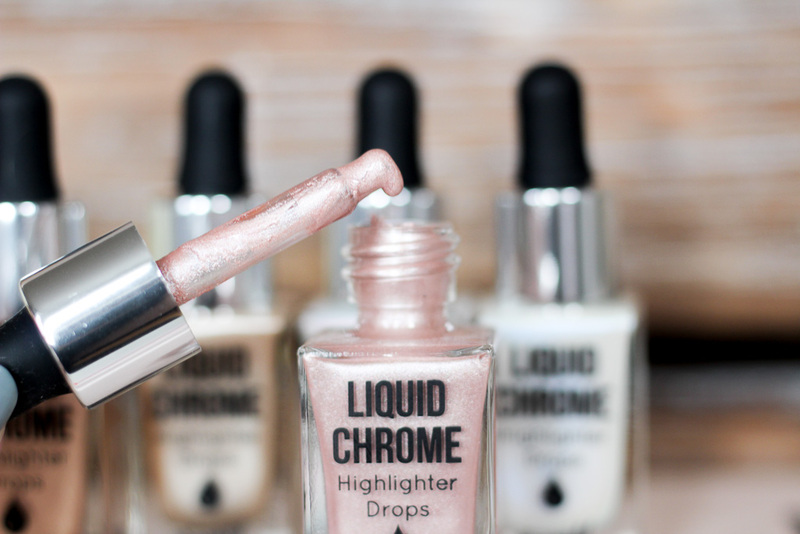 The Liquid Chrome Highlighter Drops are unbelievable for the price, part of me thought the formula might be too watery and not last that long but I didn't need to worry, they apply well, they're just the right consistency and I've loved using them. A couple shades aren't quite right for me but that hasn't stopped me loving the entire collection, there are some much higher end highlighter drops available but if I'm honest, I'd choose these time and time again. There really isn't anything I'd change, the dropper is a good size, you can see how much product you've used and they store well. Barry M have nailed these perfectly If you haven't tried them yet then you really must! I heard Boots meal deals and chrome highlighters go hand in hand. 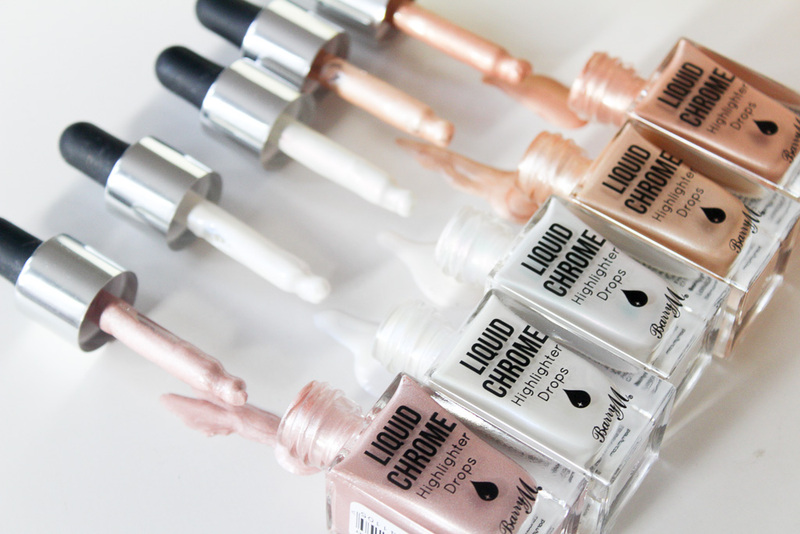 Have you tried Barry M's Liquid Chrome Highlighter Drops? What did you think? These look great although I’m pretty sure I’d make a real mess with them and scare everyone away!! oh wow they are beautiful, such a stunning swatch too, the bottom shade is lovely! I wish we had these in South Africa, they look amazing! And so affordable! Ooh! I want to try these - you've definitely made me intrigued. We don't get Barry M in the states though (I've wanted to try their gelly polishes for YEARS)!! Some days when I'm just in no made to really do my makeup, I'll throw on highlighter only (maybe a bit of mascara) - the glow makes me feel more alive! !